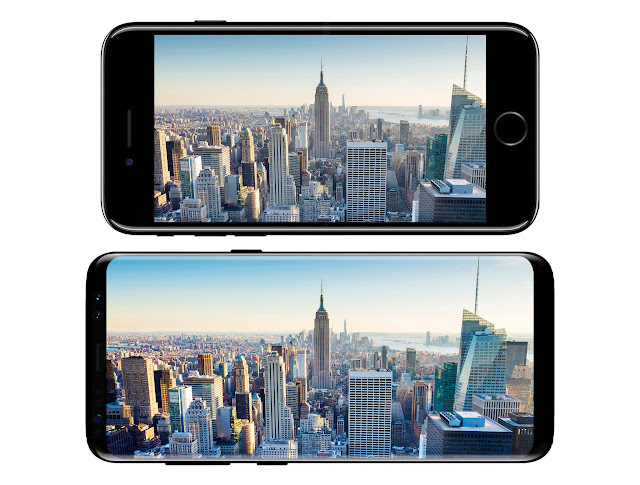 Seriously look at the bezels, which would you choose between the iPhone 7 and the Samsung Galaxy S8? In the image below you can see the same movie/image on the iPhone 7 and the coming Samsung Galaxy S8. 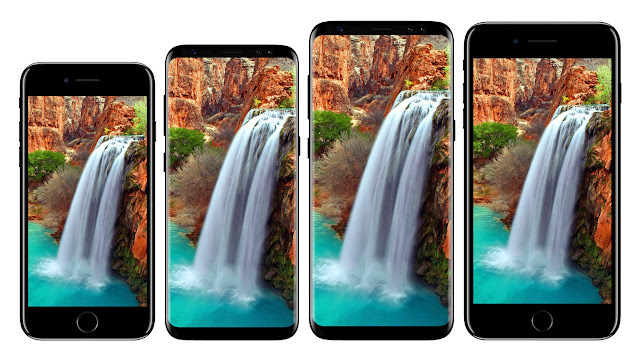 The iPhone has a 4.7-inch display and the smaller version of the Galaxy S8 has a 5.8-inch display. And as you can clearly see, the Galaxy S8 has a lot less bezels around the screen. And even as it has a lot bigger display it still is not much bigger than the iPhone. I was a huge Apple fan before, and have own every iPhone model up to the iPhone 7 plus. And to be honest with you, I can't understand how I could have accepted those huge bezels on the iPhone! I mean, look at the comparison, the iPhone is almost hilarious in comparison! Personally I know which phone I would choose between these two. I will actually go for the bigger Samsung Galaxy S8+ with a huge 6.2-inch display this year. And even if it has such a huge display, it's actually not much bigger than the iPhone 7 Plus physically. And the iPhone 7 plus only has a 5.5-inch display... Go figure.. The iPhone simply has too huge bezels. Yes, I know that the rumors say that Apple will release an iPhone this year with a bezel-less design, but personally I think it's too late. Apple is too boring for my taste.